FROM THE BESTSELLING AUTHOR OF THIRTEEN'This guy is the real deal. Trust me.' 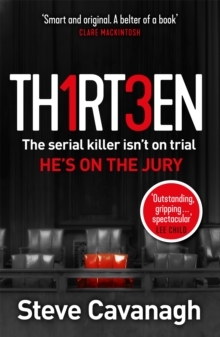 Lee Child******************BEFORE YOU READ THIS BOOKI WANT YOU TO KNOW THREE THINGS:1. The police are looking to charge me with murder. 2. No one knows who I am. Or how I did it. 3. If you think you've found me. I'm coming for you next. 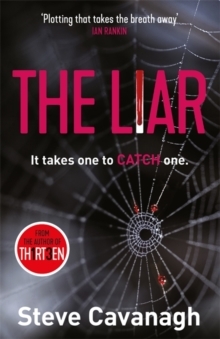 After you've read this book, you'll know: the truth is far more twisted... ******************'A fantastic standalone thriller. 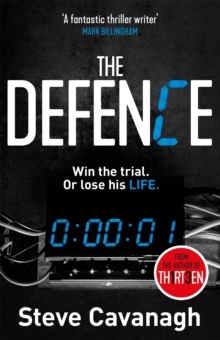 Punchy, ridiculously gripping, fast-paced, clever. Beautifully-plotted and incredibly fun to read. He's done it again. SUPERB.' 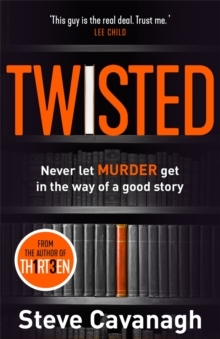 Will Dean'Brilliant and devilishly twisty and turny.' C.L. Taylor'Outstanding. Totally absorbing and compelling. Amasterpiece in thriller plotting - twists and turns at a ferocious pace, leading to a nail-biting conclusion.' Mel Sherrat'Twisted and dark, another rip roaring rollercoaster ride.' Angela Clarke'Looks set to cement his status as heir apparent to John Grisham.' Daily Express'As nastily inventive as his highly successful Thirteen.' Sunday Express'A fantastic read. Guaranteed to be one of the big books of 2019. You won't be able to put this down. It's about time we found out the truth about JT LeBeau...' Luca Veste'A corkscrewing rollercoaster of thrills, switchbacks, loop-de-loops and screaming good fun. Add it to your wish list!' Mark Edwards'Steve Cavanagh must have sold his soul to the devil at the crossroads outside of Rosedale, Mississippi in exchange for becomingone of the world's best crime writers.